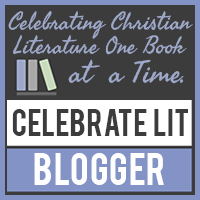 I’m going to share how God has worked in my writing journey. When my daughters were in elementary school, I enjoyed reading romances because they always had happy endings. I’ve written stories since I was young, and one day I decided to write my own romance novel. I didn’t know what I was doing, but I finished my first novel and discovered a book that had information on how to send it to a publisher. I also discovered Romance Writers of America when they held their annual conference in Atlanta, Georgia, where I lived at the time. I joined the organization and began learning what I didn’t know about writing. During the next twenty years (that’s right TWENTY YEARS), I wrote more novels and sent them to publishers. They were all rejected. I also started entering my novels in writing contests. Eventually, I began to place in the contests, and editors requested my manuscripts. Still, they were rejected in the end. Finally, in 2002 an editor at Love Inspired requested a full manuscript after reading my contest entry. I was excited because I thought this book was my best effort. I waited and waited to hear something, but no word came from the editor. Nearly a year went by without any news. 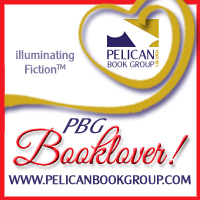 As I had done for many years, I entered the Golden Heart Contest sponsored by Romance Writers of America. Two weeks after I paid my entry fee I got a rejection from that editor. Devastated could hardly describe my mood. Disheartened, I sent in my manuscript to the contest without much hope. I had entered that same manuscript the year before, and it got mediocre scores. At this point, I wasn’t expecting anything different this time around. I was beginning to think God didn’t have “published author” in mind for me. I told my husband I couldn’t write anything better than that book, so I was done writing. This happened right before Thanksgiving that year. I enjoyed the holidays without thinking about writing, but in January after the Christmas decorations were put away, characters from a story that I had started the year before kept popping into my mind. They wouldn’t let me go. So I started writing that book. He just laughed and let me go. I worked on that story a little at a time for a couple of months. I was in no hurry to finish until I got a call in March of 2003, telling me that I was a finalist in the Golden Heart Contest. My contest entry had already been rejected, so I had to have something to pitch to an editor, because Golden Heart finalists got first choice of editor appointments at the RWA conference, that year held in New York City. So I made plans to have the book finished by conference time in July. I did type THE END the day before I left for NYC. In the meantime, I believed I needed to know whether God wanted me to continue writing. I wanted to pray that if I should continue that I would win the Golden Heart. I was afraid to pray that prayer, because if I didn’t win that would mean I should quit. I just didn’t know if I could throw away all the years I had invested in writing. So I never voiced that prayer, but God knew what I was thinking even if I didn’t say it. After another of the inspirational finalist had her manuscript requested by one of the judging editors, I figured she would win the contest. So I went to the conference ready to pitch my stories to an editor but without much hope of winning the Golden Heart. At that time, the RWA conference held a big awards ceremony that included the RITA contest finalists and Golden Heart finalists. It was a big production like the Oscars for romance writers. My husband attended with me, even though I was sure I wouldn’t win. Everyone said you should have a speech prepared even if you don’t think you’ll win. So I wrote some notes on a couple of notecards and stuck them in my purse. When the time came to announce the winners of the inspirational category, I was a bundle of nerves. I never heard my name called because they said the name of the winning manuscript first. People were cheering around me, and my husband was telling me to get up to the stage. I was trying to get my notes out of my purse and wound up with only one of the two notecards. I never looked at it, because I was so nervous. Somehow I managed to remember enough of my speech to get by. I had won! God had answered my unspoken prayer. Through all of this I learned that God knows our hearts. He knows the best timing for what we need. So through all the ups and downs of a writing career, I will keep writing as long as God gives me the stories.